The week began with an offer to sell my spare Discovery II rims to a chap named Shaun in Colorado. We worked out the details in the emails we exchanged and it was agreed we would meet in Clayton, New Mexico to swap currency for magnesium. The shipping cost for the rims was almost as expensive as the rims were themselves. With this in mind I told the perspective buyers I’d meet them in any state surrounding Oklahoma. This worked out great for Shaun as we both had about a 6 hour drive to meet halfway. I love the northeast part New Mexico and this gave me an excellent excuse to drag my wife kicking and screaming take my wife on a nice day long car ride. We both love to drive and it was a good excuse to be together for a whole day of alone time. So off we went. The first two thirds of the drive are (yawn) pretty boring. We’ve been down this stretch of I-40 so many times I can almost tell you which restrooms are the cleanest in any given season. The fact this stretch is along the “Mother Road” aka Route 66 is the only redeeming quality of the drive. The first segment terminates in Amarillo, which we have deemed, “a stinky little town”. Amarillo is about a third of the size of Oklahoma City. I thought it was bigger than its actual size, but I was wrong. The second leg begins with a drive through the Canadian River valley north of Amarillo. This stretch then becomes a pool table of corn fields and long stretches of corn and silos and the occasional windmill. That’s just about as accurate as you could ask for. Today some of the most interesting things to see are totally abandoned houses and a basketball gymnasium in Perico, Texas. 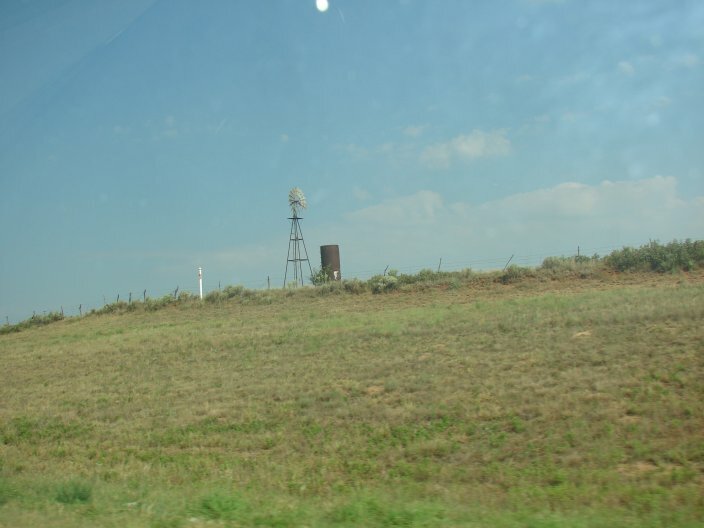 A good part of the book Lonesome Dove by Larry McMurtry takes place on these plains. That is part of the appeal to me along with the regions vastness and quite honestly the wind. I love the wind blowing and here it blows constantly. The land is inhabited by an honest and hard working people who are fiercely proud of the land and its lifestyle. 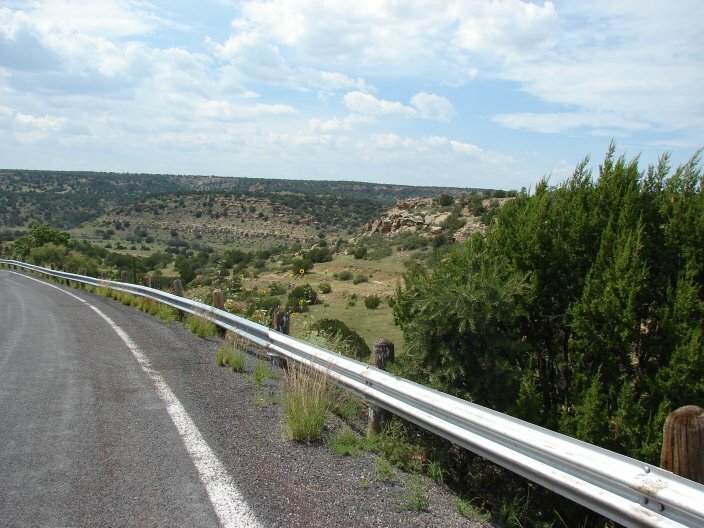 On into New Mexico you begin to see the plateaus and mesas and dormant volcanoes mentioned earlier. The first thing worth stopping at along this route is Clayton, New Mexico. Our intenary had us meeting Shaun and Deb in front of the Ekland Hotel in downtown Clayton. 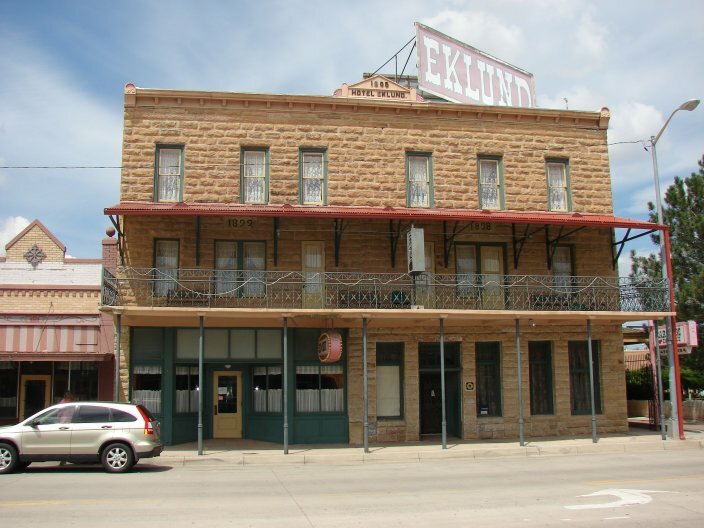 Our plans were to eat a big lunch in the Ekland Hotel restaurant, relax a bit and then head home. We kicked around staying overnight, but gave that up to maximize the funds from the trip to apply to the repairs of the Range Rover LWB. You can see the Honda CRV parked in front of the hotel. As it turned out, our plans would not have panned out anyway. The Ekland was closed. Mrs. OkieRover visited a shop next door and learned they have been closed for a year. There is a rumor of an investor taking over the place and opening it back up. Money has exchanged hands…nothing has come of it as of this writing. It was a disappointment but then again not too disappointed as we had already adjusted the plans once. While we waited for Shaun and Deb, I walked around Main Street and took some pictures of the buildings. The Luna Theater, a coffee shop, a grain elevator, City Drug, a barber shop, all the quaint shops you would be disappointed NOT to see in such a town. 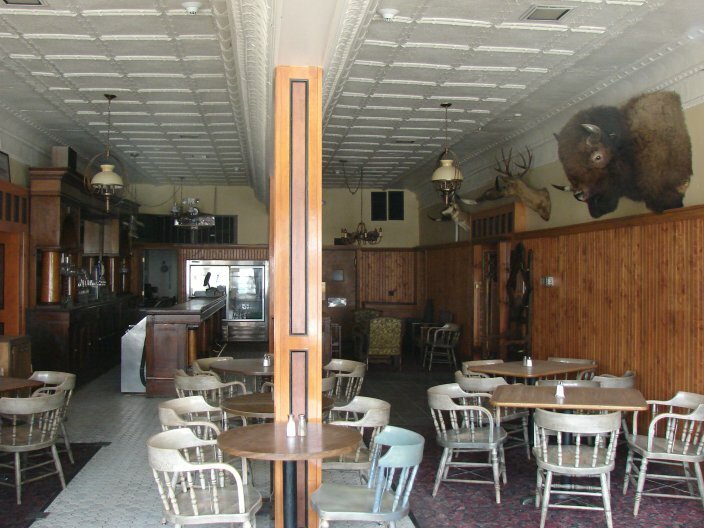 I even took some pics of the empty restaurant. Check out all the shots I am posting at my Posterous site. 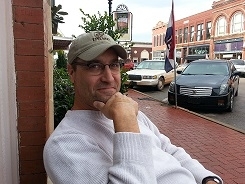 This is a new addition to the OkieRover.com web presence. Alyssa Milano uses Posterous, so I know it’s good. The town was mostly abandoned due to Old West Days, which was being held a block over. I took a few more pictures and as expected Shaun and Deb showed up in their Range Rover. Their Range Rover was a very nice Callaway edition. It was numbered 007 of which the coolness of that alone need not be explained on this site. We loaded up the rims. Shaun, like myself, hates to hear noises from the cabin so he was careful to set the rims in such a manner as they did not ding. Deb pointed out that while offroading in their Defender Shaun asked her to, “go back there and find out what is rattling.” I thought that was a very funny story. As I am exactly the same way, I can’t stand load noises. I can safely tell you I would complain about the noise of a truck full of my own gold bars. I brought along my Discovery II head lamps and a CD magazine hoping that his Range Rover would be able to use them. Sadly neither met the mark and I’ll have to find another person to pass them along to. Shaun told me he was to use the rims for a set of studded snow tires. The Colorado winters bring with them some ice and snow and a second set of rims and tires for just such weather, I imagine, is a necessity. He said he would run them for the two icy months and then back into the garage they would go. I told him about Nitto tires and their reputation as good ice and snow tires. I’ve read about them on boards and have heard they were good. As I realized later, this was like telling an Eskimo about snow being cold. Shaun was very polite and didn’t tell the “flatlander” how clueless he was sounding. Our wives shared stories while we packed the Range Rover. We shared some more about the plight of his Defender and its transfer case problems, my Range Rover’s current state of disassembly and the awesomeness of this area. My wife shared that she never tells her dad about our travels until we are home due to his worry that we will be left in a ditch somewhere with our throats cut. We all had a laugh about that. 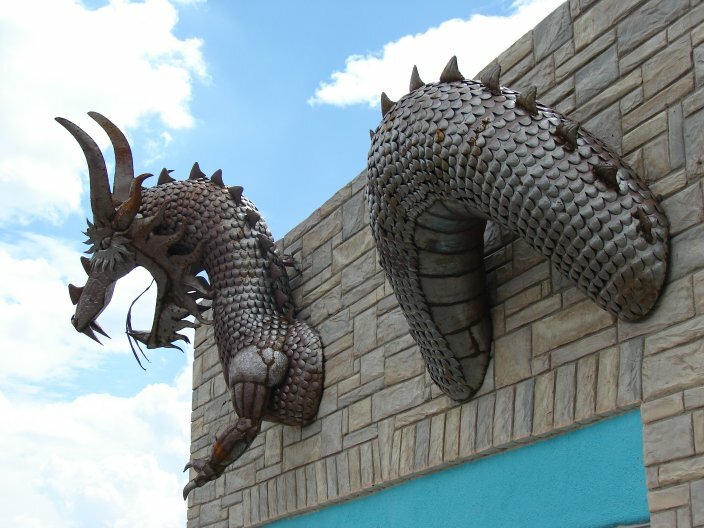 They noticed I was taking pictures and directed us to a dragon sticking out of a wall on a building’s façade just a few blocks away. We then jumped in our cars and headed up there for more pictures. Deb shared with us that the artist was just across the street. We bid each other goodbye. They like ourselves, they had other plans for the day. As we pulled out of town my wife and I talked about how awesome a couple they were. Shaun had told us about the Land Rover National Rally being held in Moab and that the Solihull Society was the host club. I’m not sure I will have the Range Rover ready for that this year. It was comforting to know at least two people we really liked would be at this event should we choose to go in the coming years. I hope this meeting with Shaun and Deb would not be our last. With our lunch/relaxation plans ruined I decided we should go north to Black Mesa. 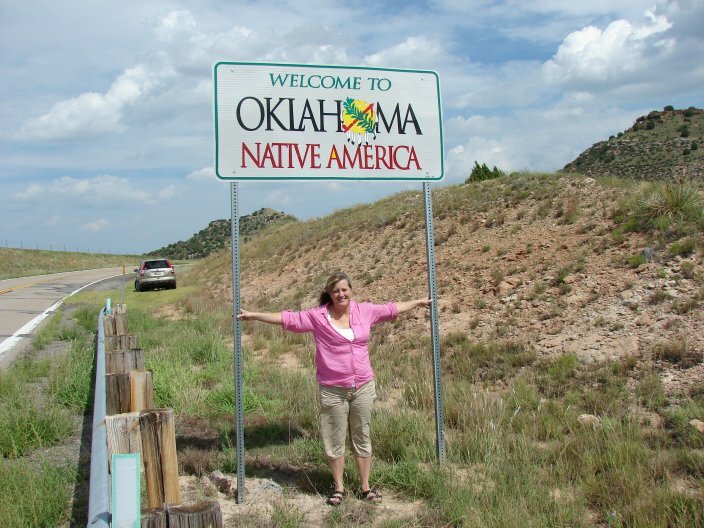 It is the highest point in the state of Oklahoma and a place all OKIES should see and or experience. So we headed north on New Mexico Highway 406. Remote is usually a word we use in Norman to describe a device we use to change the channels on the television. Remote in this part of New Mexico is an understatement of long stretches of highway with no noticeable inhabitants. At one point we drove for what seemed like an hour and never saw a car in any direction. The weeds grew right up to the pavement causing a tunnel affect in some places. This section is part of, or crosses the Santa Fe Trail. This is one of the trade routes to Santa Fe from the east. The route was used by trappers and traders throughout the fur trade from around 1822 through the 1880s when the rail road came to Santa Fe. As we moseyed up the trail, I spied an abandoned house. It was close to the road and I decided to explore. It was most likely an early 1900s home. Fairly large considering its location. It was obviously a wealthy person’s home considering the size and appointments inside. The lath dated it for me. 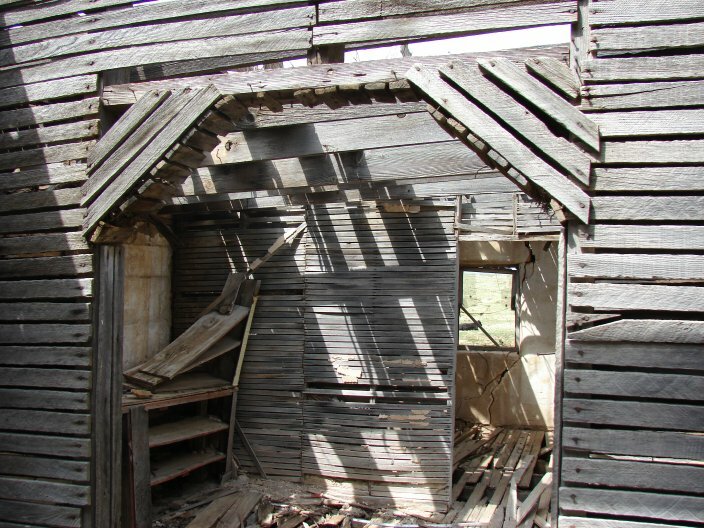 Lath walls were used between 1910 and the 1950s when the use declined. I took a few shots of the inside while the cows stared at me. Realizing I hadn’t brought a feed truck they went back to doing what cows do best, that being making themselves in to tasty things to eat. I finished filling my socks and laces with burrs and got back to the car and we proceeded on up the highway. We passed miles of cows and pasture only interrupted by a couple of fences and a cattle guard or two. Short of a cowboy working his cows in pen we didn’t see another soul until we reached the “valle escondito”. The road dropped sharply to traverse a nearly dry river. The canyon was picturesque. We passed a couple of pickup trucks along this section. The best part of this section was if you saw something you wanted to take a picture of, you could just stop, RIGHT THERE ON THE HIGHWAY, and take a picture, or twenty. We were truly alone. We crossed back into Oklahoma. At this point our camera batteries died. I was pretty sure they wouldn’t last the entire trip but I didn’t expect them to die in the middle of the most remote and picturesque parts of the trip. Live and learn I guess. We sped along until we reached Kenton, Oklahoma. We stopped at this “store” and inquired about batteries. They had nine volts and “C” and “D” cells but no “AA” size. There was very little in the store and we layered on to our disappointment that we couldn’t photograph the town. It was decided that we would have to come back. We drove up the road to Black Mesa. More nothing in the middle of nowhere. We did manage to run over a four foot rattlesnake. I tried to miss him/her but it was unavoidable. I’m pretty sure there was no shortage of rattlesnakes in this part of the world so only a few alligator tears where shed. After Mrs. OkieRover noticed we ran over a snake she began to panic about the snake getting in the car with us. It was hard to contain my laughter as I tried to ease her mind that the snake, no matter how dexterous, could not get IN THE CAR after we had just run him over at 40 mph. My mind immediately started thinking about titles for a movie of such an event. Snakes in a CRV was the first to pop in to my head. We weren’t quite sure what this building was all about. It was totally unused and did not even have a drive or parking lot. I’d love to know who thought this would make a great destination for such a facility. It has lots of potential obviously, but someone pulled the plug on the project before it even got going. We drove on up to the trailhead for Black Mesa. I read that the hike to the top is 4.2 miles and takes anywhere from 3-5 hours depending on how manly you are. Mrs. OkieRover confided that she was “not the hiking type”. She would not be hiking up. I think the thought of snakes have her a bit shook up. I got back to the CRV after reading what I could of the information sign which is in need or repair or replacement. I programmed our route home on the Tom Tom. It told us we were 9 hours and some change from home. NINE HOURS???! Mrs. OkieRover was none to happy about that. But it was what it was. There is a discrepancy between what the Tom Tom says the travel time and how I drive. I am guessing if you drove the EXACT speed limit all the time you would go insane arrive when the Tom Tom says you will. But me, being the Marine that I am, will not be told when I am arriving. I arrive when I want to. I turned the CRV into the wind (metaphorically speaking that is, as the wind was technically out of the south at 25mph) and headed home. We clipped Boise City and headed south back into hell Texas to pick up the Mother Road/I-40. I set the cruise control to somewhere around 9 miles an hour over the posted speed limit. This works pretty well for us. A highway patrol friend of mine said he wouldn’t even turn the car around for 9 over. 10 over, that’s speeding. But 9 is debatable. At times I pushed the CRV up to nearly 100mph. The uninhabited panhandle doesn’t exactly have a lot of cars on the road. So being careful to pick stretches I could see for a long way I would cut some time off the trip. I was cutting several minutes off for every mile I was driving. Before too long the Tom Tom was telling us we would get home around 11pm. When we pulled into the drive way I had gotten us home in a little over 7 hours. That’s not too bad. We averaged around 25mpg in the CRV. 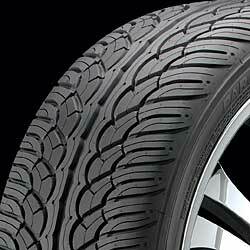 The brand new Yokohama Parada Spec-X tires were quiet and handled well. I’m pretty sure the name “Parada” was chosen because it matched the head designer’s Brazilian girlfriend. They were at the time of this writing number one in their category (round rubber things mounted on rims). The actual category is Street/Sport Truck All-Season Tires. Hopefully the tires won’t break down like the Geolanders I bought in 2001. The sidewall broke down too early and the Range Rover looked like it was driving on clown car wheels. Those Geolanders only went 40,000 miles as well. That was pretty disappointing. I’m hoping for better this time around. We (I) drove somewhere in the neighborhood of 850 miles. We left at 8am Central Standard time and got home around 11:00pm. It was a long trip but a good one. We both felt like hammered jello the next day. Mrs. OkieRover recovered by taking an afternoon nap. I recovered by putting the differential back in the Range Rover and hooking up the drive shaft. Don’t forget to check out the pictures posted on my Posterous site. 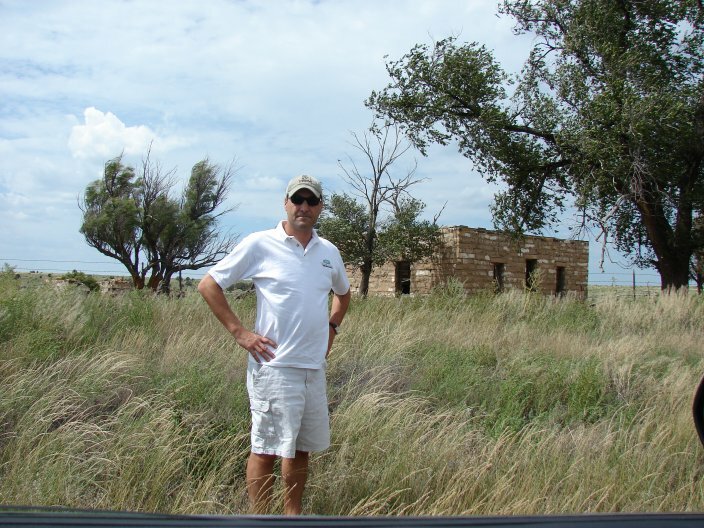 I highly recommend visiting this region of New Mexico, I loved the remoteness and could in the back of my mind image the hardy men and women who once traversed this trail. They made 10 miles a day with wagons and that was on a good day. If we had the Range Rover on this trip, making 10 miles a day off road would have made this trip even better. 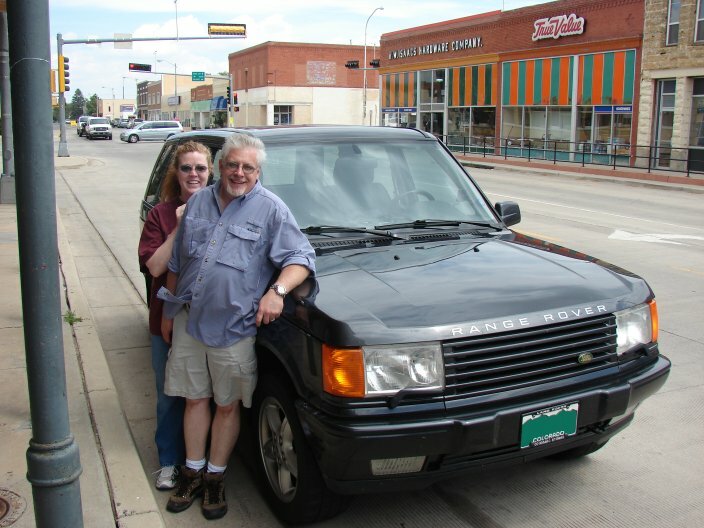 This entry was posted in history, Mrs. OkieRover, New Mexico, Range Rover Classic, road trips, Route 66, tires. Bookmark the permalink.